Tea garden at the other side of the Pond. The waterfall collapsed in the middle of the 1990s, but it was restored by Mr. Hoichi KURISU soon after. 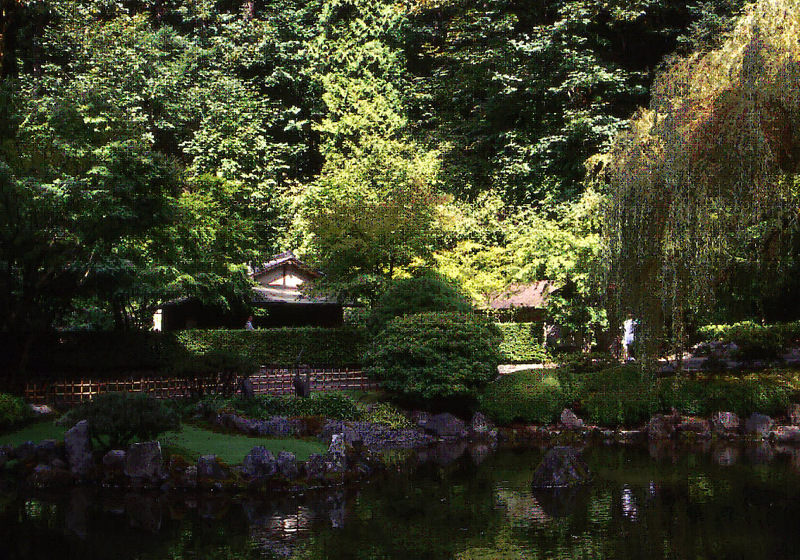 Portland’s Japanese Garden prides itself on being one of the highest-quality “authentic” Japanese gardens in America. In 1958, Portland became a sister city to Sapporo, Japan. 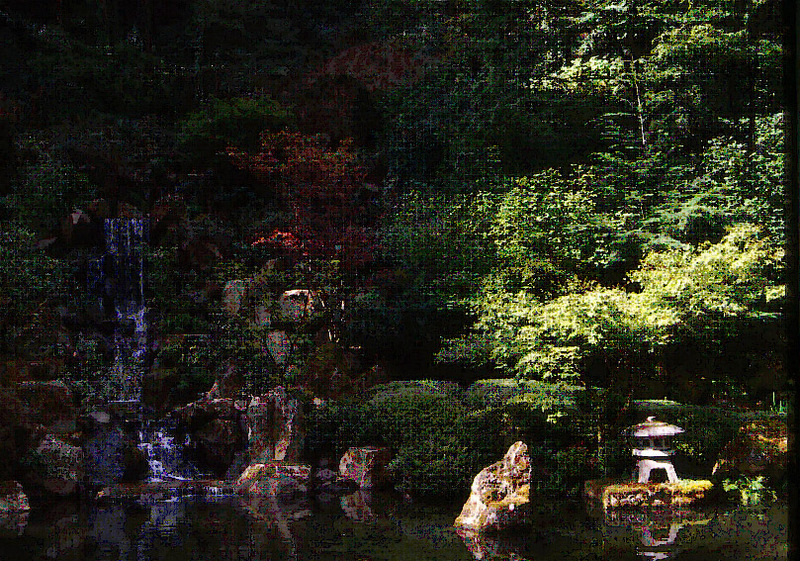 This generated a broad interest in Japanese culture, and on June 4, 1962, the City Council created a commission to establish a Japanese Garden. Tono Takuma, who had already visited the spot from about 1960, became the official designer in 1962. 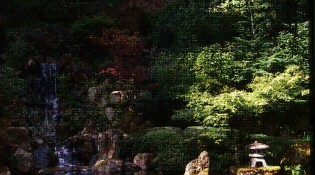 He tried for Japanese garden understanding other than a design of a garden through various media of the city. 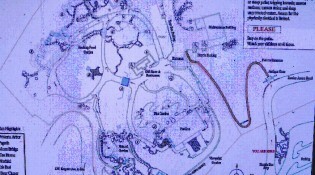 Beginning in 1964, one part of the garden was opened each year. 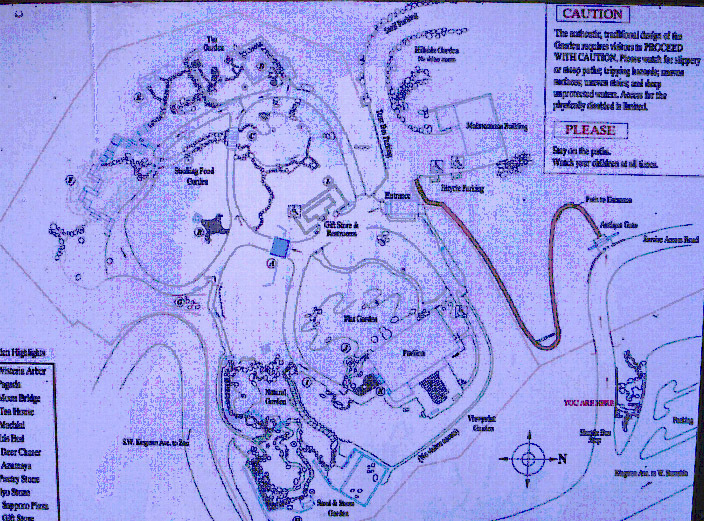 Though the official opening was in 1967, it took approximately 10 years to bring the garden to its present form. At Tono’s suggestion, starting in 1964 one young landscape gardener from Japan was employed each year to act as director of maintenance. A new Japanese landscape gardener took up the post every two or three years and collaborated with local landscape gardeners on various restoration and maintenance projects. 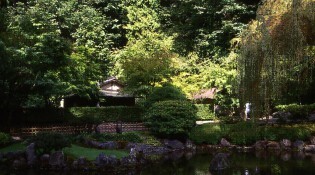 In addition, Sakakibara Hachiro undertook the enlargement of a “Natural Garden” (Shukei-en), which was not included in Tono’s original plan. The garden in its current form was completed in 1991, and a local landscape gardener currently manages its maintenance. The garden consists of a large flat garden of sand, shrubs and trees; a stroll garden with pond, bridges and lanterns; a tea garden; the “natural garden;” and a sand and stone garden designed by Tono Takuma.